The youth teams will all attend (3) New England based 2day tournaments. High school teams will attend (3) nationally recognized recruiting events. Tournaments for both youth & HS are typically (1 or 2) in late June & (1 or 2) in July excluding Holiday weekends. PRACTICES: are held at Acton-Boxboro Regional High School - Lower Turf Fields on Monday & Wednesday evenings beginning in June and ending in late July. Practices will begin at 6:00/6:30pm for youth and 7:30/8:00pm for High School. Each team will be lead by (2) Professional Coaches. Each player will receive a custom Royal branded uniform. THE COST TO PLAY: For pricing per grade, please contact us directly at . 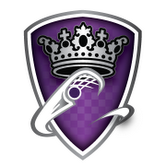 PLEASE NOTE: Money has never been the driving factor at Royal Lacrosse. We believe strongly that exceptional student-athletes of good character & work ethic, should never be denied the opportunity to play club lacrosse based on money. We consistently offer scholarships to those in need, that fit the criteria, family discounts & payment plans. Please contact if you are in need of financial assistance. Summer Tournament Schedule will be released very soon! Interested in joining the Royal Family? CLICK HERE for additional details tryout options.